Home » उत्तर प्रदेश » Indian Railways Suspends Two Employees after train tickets with photo of PM Modi printed on them were issued. 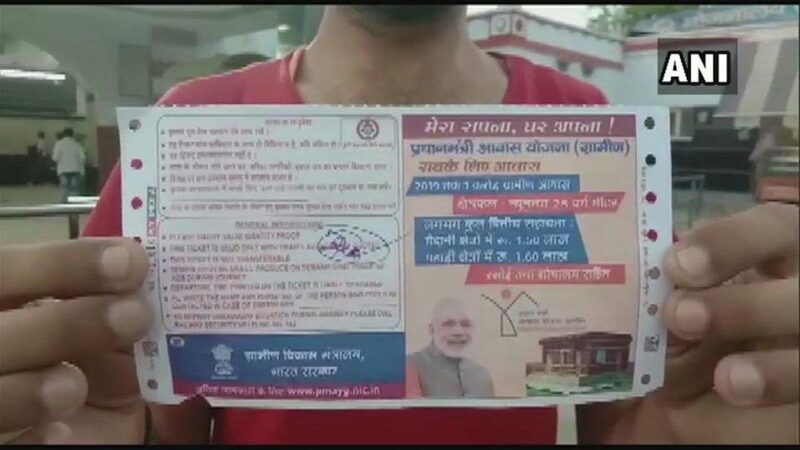 Lucknow, April 16: Two employees of Indian Railways in Uttar Pradesh were suspended on Monday after train tickets with photo of Prime Minister Narendra Modi printed on them were issued to passengers. According to a tweet by ANI, the incident took place at Barabanki railway station on Monday. The ADM was quoted in reports saying that the old roll was used by mistake during the shift change. “On 13 April, when shift changes, the old roll was mistakenly used. 2 employees suspended and a department probe is underway”, the ADM stated. After the Model Code of Conduct (MCC) came in to force on March 10 ahead of 2019 Lok Sabha elections, the Indian Railways had decided to withdraw tickets carrying photos of Prime Minister Narendra Modi. According to reports, the withdrawal came after the Trinamool Congres deligation approached to Election Commission accusing the haratiya Janata Party(BJP) of violating the poll code of conduct. Apart from railway tickets, boarding pass issued by Air India carrying pictures of Prime Minister Narendra Modi were also withdrawn. In March, tea was found being served in ‘Main bhi Chowkidar’ cups in Shatabdi train. According to a tweet by ANI, an image of tea being served in ‘Main bhi Chowkidar’ cups had gone viral on social media. However, the Ministry of Railways confirmed the incident and said the tea glasses were immediately withdrawn. After the MCC comes into force, the elected governments are barred from inaugurating any projects or unveiling a new scheme. MCC also bares political parties to promote themselves through banners and hoarding to carry out free and fair elections. The Lok Sabha elections will take place in seven phases from April 11, 2019, to May 19. The counting of votes will begin on May 23. Reporter : Indian Railways Suspends Two Employees after train tickets with photo of PM Modi printed on them were issued.